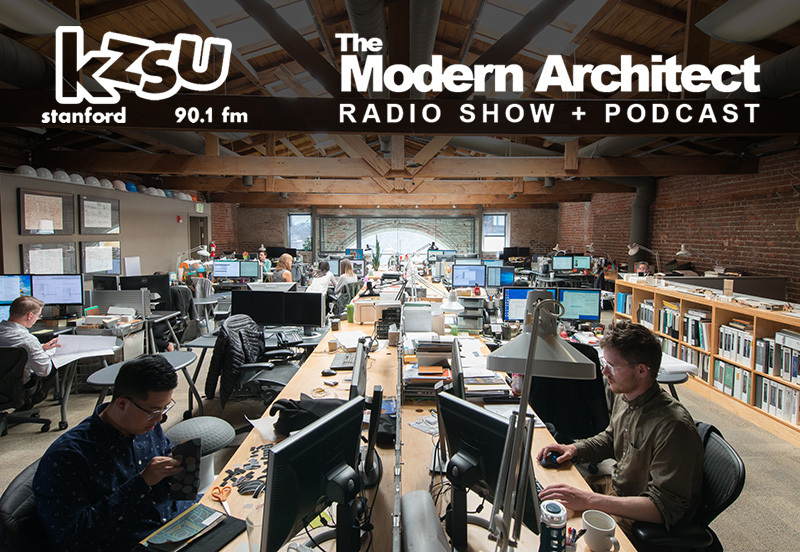 Recently, senior principals Dawn Merkes and David Schnee sat down with Tom Dioro for his latest installment of KZSU Stanford’s Modern Architect Podcast. Tom was excited to hear about Group 4’s process of engaging communities in the design of public architecture, the evident care that “runs deep” within each project, and about our familial office culture…perhaps a far cry from the “black cape” architects most people are accustomed to. That’s all by design! On office values. Just about everything is covered by our E2C2 slogan: Environment, Economy, Community, Culture. It’s a holistic view of sustainability. On community engagement. Bringing the design studio to the community, and transmitting how community participation is a critical aspect of project design. We cherish being given an opportunity to listen, and tailoring each process and project to the community. On office culture. “Family values without family dynamics,” an office without walls, a universal appreciation for travel and the outdoors…and a *near* universal appreciation for cycling. Listen to the full show: S03 Episode 32: Dawn Merkes and David Schnee, Modern Architect podcast, from KZSU Stanford 90.1 fm. Photo of G4 office by Becky Ruppel.